ISE 2019: Prismaflex presents their latest innovations! Once again, Prismaflex International will be exhibiting at ISE, one of the largest and most reputed digital shows and the opportunity for them to display their unmatched expertise in LED module integration and also to present their latest service offers such as a display network management solution. 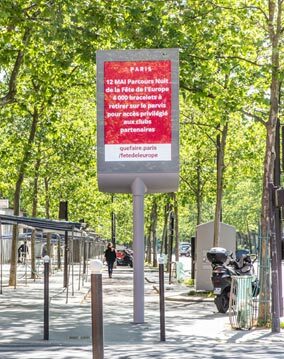 The Paris design display, a 4 mm pitch 2 m² electronic information display. With its contemporary and refined design, the Paris display is a hugely popular element of the Prismatronic line that has already won over a number of major cities. The Copenhagen sign, an enormous 7 m² glazed 4 mm pitch display that stands out from the rest (resolution, brightness, design…). A 6 m² display, with COOLA pole (round central pole with a wavy display design) and 4 mm pitch. This classic and popular sign from our Prismatronic line will be presented for the first time with a 4 mm pitch (best known for the 6 mm pitch version). Our digital banner, a high definition 1 m² nomad display that came to life in 2017 and that has now been revamped! Prismaflex will be presenting for the first time a new version of the digital banner that is part of our Prismatronic Indoor line. Now fitted with caster wheels, the banner is the perfect solution for use in shopping malls and is ultra-simple to use with quick and easy content management for real-time communication. Also, Prismaflex will be communicating on their BBM, a remote display management solution. 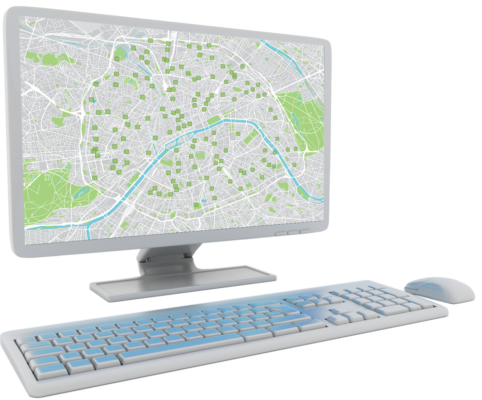 The monitoring software offers remote 24/7 management of your display network, real-time module anomaly detection, temperature control, etc. Meet us at the show or contact us to make an appointment!